You are on your way to being homeowner and are surely bombarded with tons of paperwork, information, and appointments with appraisers and movers. If you have already put a down payment down on your new home, has your lender discussed with you private mortgage insurance? Private mortgage insurance (PMI) is an insurance plan that reimburses your lender should you default on your mortgage. The borrower has to pay a premium to cover that insurance. Your lender will determine whether or not you need PMI, but it’s fairly easy to figure it out yourself prior to signing on the dotted line. 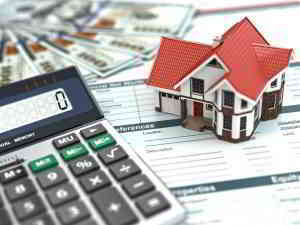 Your need for PMI is based on the loan to value ratio (LTV) of your home. If the ratio is more than 80 percent, you will have to obtain PMI. To calculate your loan to value ratio your lender will look at how much you put down and compare it to the sales price of your home. For example, if your home is worth at $180,000 and your down payment was $20,000 then you still owe the bank $160,000. Therefore you would divide the amount you owe by what the home is worth then multiply that by 100 to receive the percentage; the LTV ratio is 88 percent. There are a few ways to avoid having to pay PMI such as putting down more than 20 percent. However, paying a PMI is a good option for those who are looking forward to home ownership and have poor credit, may be considered a high risk by your lender, or are looking to buy a particular home with a smaller down payment. Although private mortgage insurance may be not seem like the best option due to fees, refinancing your home loan in the future could allow you to drop your PMI. It’s important to look at all your options whether it be a smaller down payment and PMI, or saving for a larger down payment, or even deciding on credit repair in an effort to receive a lower interest rate and save more for your down payment. AmOne can help you get educated about what options might be best for you. Our educated Money Coaches are available to answer your questions and get you connected with a lender that can help you with home ownership. Previous Previous post: What Is An FHA Home Loan?